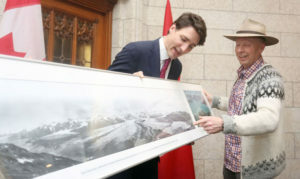 Liberal leader trades in his tie for a PFD for a day on the Yukon River with Neil Hartling. 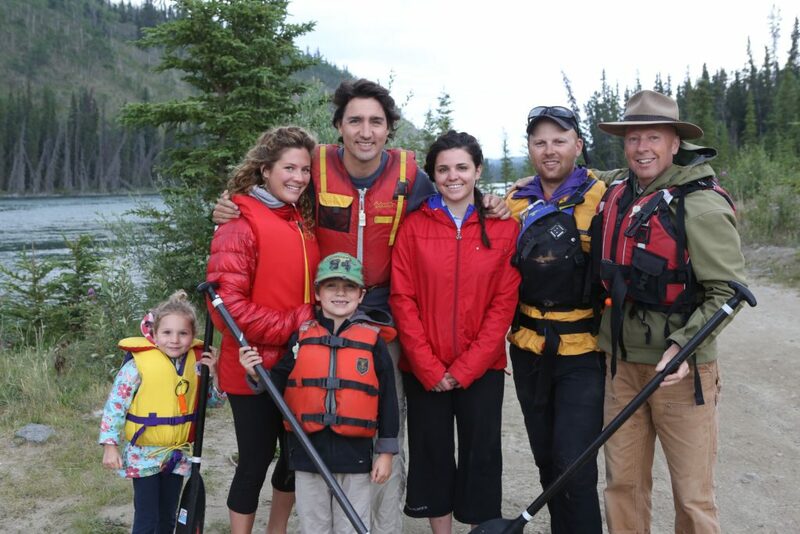 The bit of drizzle that fell over the Yukon River Thursday morning couldn’t keep the Trudeau’s away! Justin along with family (wife Sophie, 4 year old daughter Ella-Grace and 5 year old son Xavier) joined Nahanni Neil Hartling and son Lars on a morning canoe this week through Miles Canyon. Neil and Justin last paddled together in the Nahanni Canyons in 2005. 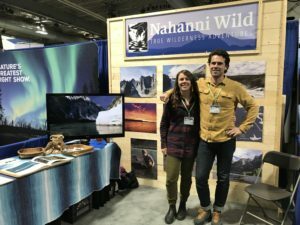 With Justin recently in Whitehorse for the Assembly of First Nations conference, Neil and Justin were able to reconnect and share in something they are both passionate about: waterways and canoes. 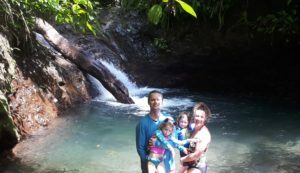 The river held as much adventure for the family as the Nahanni did for Justin. A stop at Canyon City of Gold Rush fame, allowed for exploration and even some gold panning along its banks. Lunch atop of Miles Canyon was punctuated with cliff jumping by Justin and Xavier. An appetite for adventure just like his father, Xavier’s first words when we met him that morning were that he wanted to ‘go fast’ and ‘have fun’! The kids were just as keen, showing comfort and ease in the canoes at such a young age. Sophie’s past canoeing in the Laurentians was evident as the family gracefully navigated the canyon. “The kids were delightful” said Hartling. With smiles all around, the day ended with a sky of Yukon gold sunshine, lots of laughs, and a great family-day with little, if any, political chatter…not to mention a happy (and tired!) Trudeau Family. They continue their summer holiday into Banff and California before their return to the capital later in the season. How nice that any easterner can enjoy our western extremes. I long to travel and enjoy my eastern Canadian heritage too. It’s to bad that it would be cheaper to go to Hawaii or Mexico than to fly across our great Nation. You would think that it would be cheaper to fly across Canada in the long run so some of us can visit.